Last week’s Geekwire Summit 2013 offered a unique opportunity to hear from some of the key movers and shakers in the tech industry, including Silicon Valley venture capitalist Bill Gurley, HBO’s CTO Otto Berkes, visionary photographer Chase Jarvis, and Expedia and Zillow co-founder Rich Barton. It was a day filled with insights and entertaining panel conversations (not a PowerPoint presentation in sight). If you didn’t get the chance to attend you can check out videos and tweets on the Geekwire website. Or, let Allovus cut to the chase for you and share our take on three key themes that surfaced, and resurfaced, throughout the thought-provoking day. Mobile. Mobile. Mobile. Whether a phone, tablet, or phablet, all of the panelists and presenters are focused like a laser pointer on mobile devices and continuing to move products and consumer interactions away from the stationary PC, even the laptop. Rich Barton (Expedia and Zillow co-founder) flat out stated if an individual comes to pitch and they are not using a mobile device he automatically dismisses them as “out of touch.” Otto Berkes (CTO HBO) shared that “60% HBO Go usage is mobile” and mobile is a key investment and innovation area for the media company moving forward. Throughout the day, each and every speaker at the Summit addressed mobile as a key component of their business strategy. Cross-platform Content. Whether it was game industry veteran and adviser Ed Fries moderating the gaming panel or HBO’s Berkes talking about how developing for content is a different beast than developing software, content was center stage. Content creation and content strategy are all pivotal parts of product development moving forward. But the catch is the ability to create and develop content that makes for a seamless user experience across the various platforms. Kiss the days of device-centric development good-bye. Understand Your Consumer. With an ever-engaged consumer constituency, tech-native Millennials, and a two-way dialogue that is not going away…you better understand who you are building what for, why, and when. This isn’t to say you should look to the consumer for innovation (although highly-engaged consumer communites are MacGyvering products in interesting ways worthy of attention) but rather know your customer base. Julep CEO Jane Park stated it best: Data alone will not help you understand your consumer, you have to engage with them. 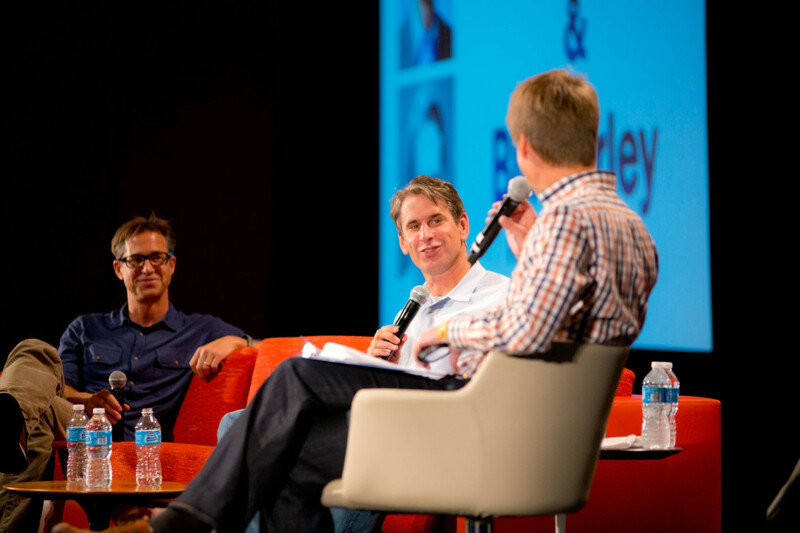 Tags: Bill Gurley, expedia, GeekWire, geekwire summit 13, gksummit, hbo, Jane Park, julep, Otto Berkes, Rich Barton, zillow. Bookmark the permalink.